Madison Restaurant Week is one of the city's most popular culinary traditions. Thousands of area residents make their way to support the local dining community by exploring the newest restaurants and hitting up old favorites. Mark your calendars for this year's Winter Restaurant Week! Click on this page's Visit Website link for participating restaurants! 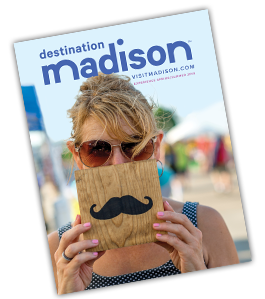 This semi-annual event is the perfect opportunity for food lovers to sample some of Madison's finest local offerings. Starting at $25.00, participating restaurants offer a prix-fixe menu with three courses and three options of each course. Some restaurants offer a reduced menu for $15.00 for lunch, and some are also offering $30.00 and $35.00 dinner options. No passes, tickets or coupons are required. Diners may simply visit their favorite participating restaurants throughout the week to enjoy the special menus. Diners are strongly recommended to make reservations in advance.